Early November means celeriac has just come into season so we went out to our fields on Wash Farm in Devon to see it being harvested. We planted around 96,000 transplants between 18th and 21st May and started harvesting in early November and can usually use around 75% of the crop. The rest is either too small or has disease, pest or mechanical damage, but rather than waste it, we compost it back into the soil to feed next year’s crop. Celeriac likes to be planted in the warmer weather but needs a lot of moisture so we planted ours in fertile, water retentive soil and irrigated once a week when the weather was dry. It doesn’t grow well in the frost so we make sure we harvest it and put it in storage by late December. 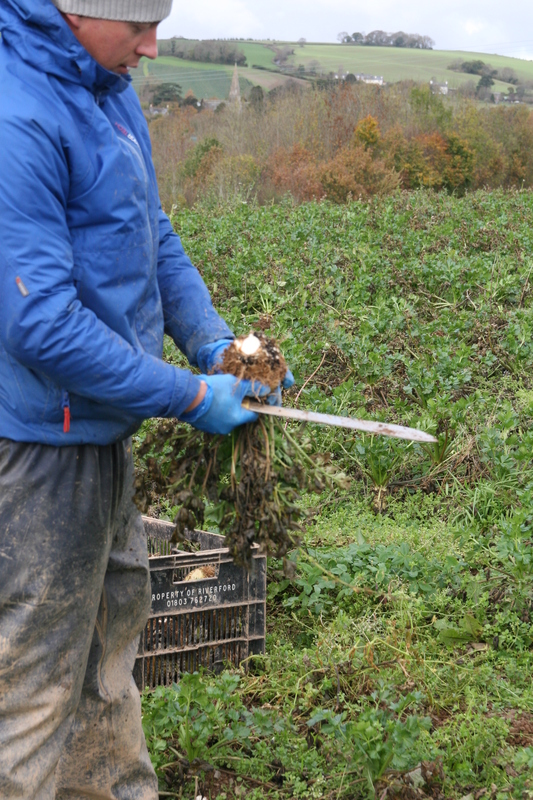 When harvesting, you’ll see from the photos that our field workers, wearing waterproofs in the damp November weather use machete-style knives to trim the root and clinging soil. We’ve tried using a potato harvester, but ended up with a barn full of soil so stick to traditional methods – hand picking and cutting. 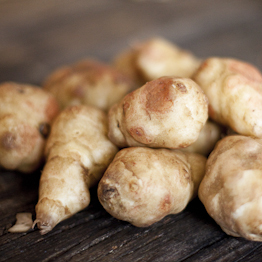 If you store celeriac in the fridge, it will keep for several weeks. Even if it’s cut in half, you can keep it for a week or more but you might need to shave off a layer to refresh the surface. An easy way of using it is to mash it with potato (around 1/3 celeriac to 2/3 potato).